With winter in the air, it can be easy to hibernate indoors and leave the prospect of exploring the wilderness for warmer months. 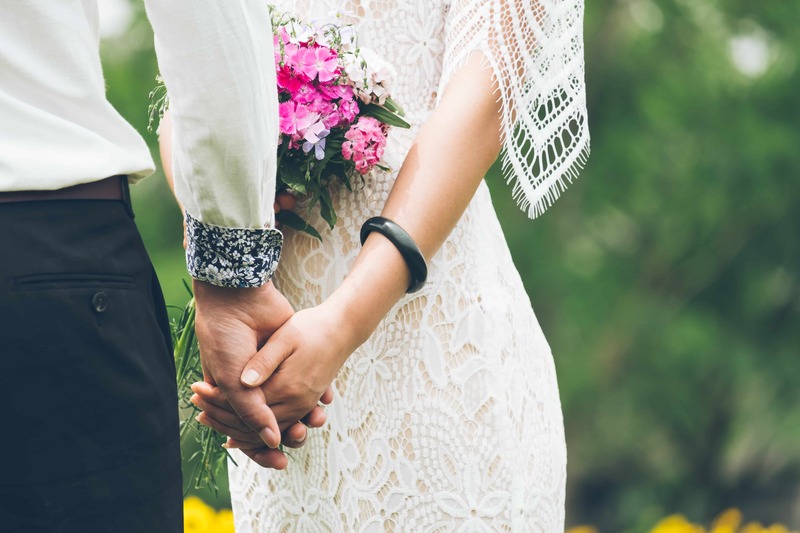 If you’ve set a summer date for your wedding, incorporating naturalistic themes into your special day is a beautiful and very easy way of creating a picture-perfect wedding day. 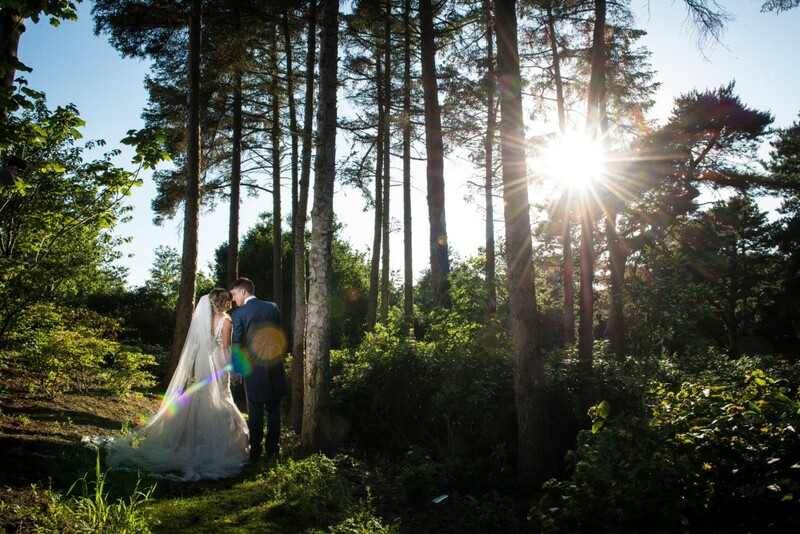 From choosing a venue that allows you to make the most of your outdoor event, to serving locally-sourced food at the reception, we’re exploring just 4 of the many ways you can welcome nature into your wedding in 2019. Now all you need is to book it (and hope it doesn’t rain!). Arguably, the part of your wedding most likely to influence the natural theme of your day is the place you pick to make your vows or carry out your celebrations during the reception. An outdoor venue will provide you with a beautiful way to incorporate natural elements into your day. Not only is it extremely romantic, but it will give your guests a bit more freedom to enjoy your day at their own pace. For a truly rustic theme, pick picnic benches and hay bales as your seating options. You can use surrounding trees as props by decorating them with solar-powered fairy lights to make the forest feel more personal. Unfortunately, while you can control the music, you can’t control the weather. Don’t be disheartened by a little summer drizzle. Instead, dress the venue for the occasion by hiring a marquee or sail shade to ensure your guests’ spirits (and outfits) aren’t dampened. Additionally, for cooler summer nights, pop heaters and blankets around your venue to allow your guests to rest their dancing feet in the evening while enjoying the clear, starry sky above them. 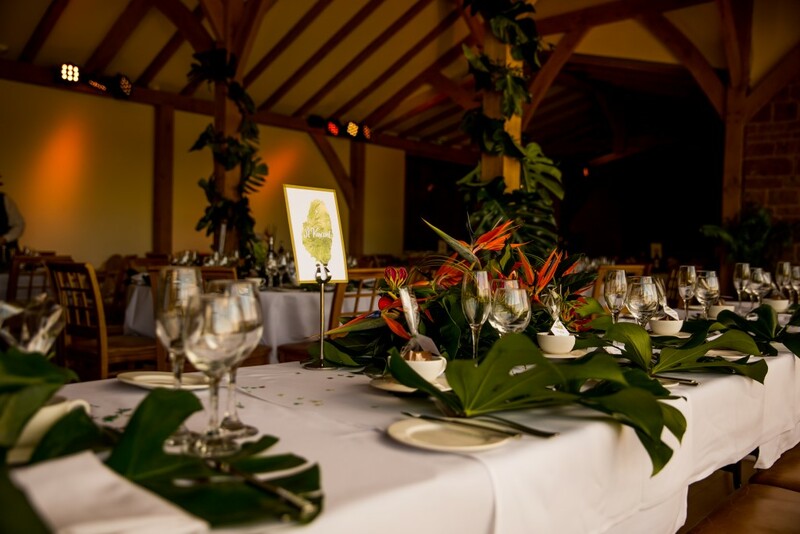 Set the scene with the right entertainment on a summers day and create a natural, earthy feel to your wedding. Homely music performed in a stripped down style by acoustic performers is a wonderful way to keep things simple. Some acoustic singers can even perform as an unplugged roaming act for your day and interact with guests outdoors. This is a great idea for anyone that is looking for some live music but also wants a unique wedding entertainment option to create memorable moments. Create an amazing floral backdrop with freshly inspired visual entertainment to complete your natural feel. 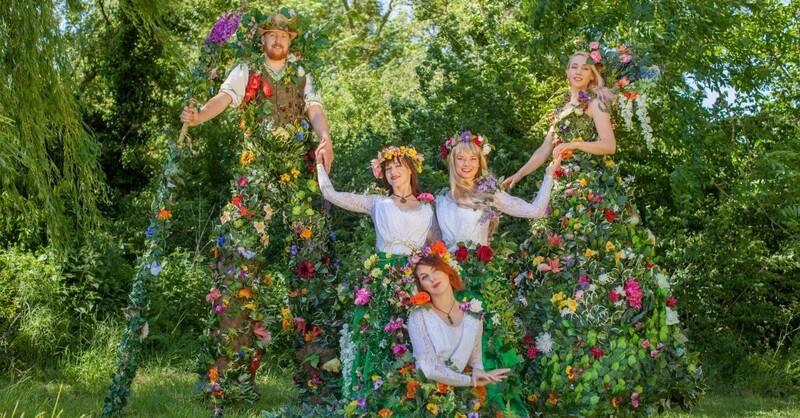 There are some incredible opportunities here for photos with towering stilt walkers or live walkabout trees. 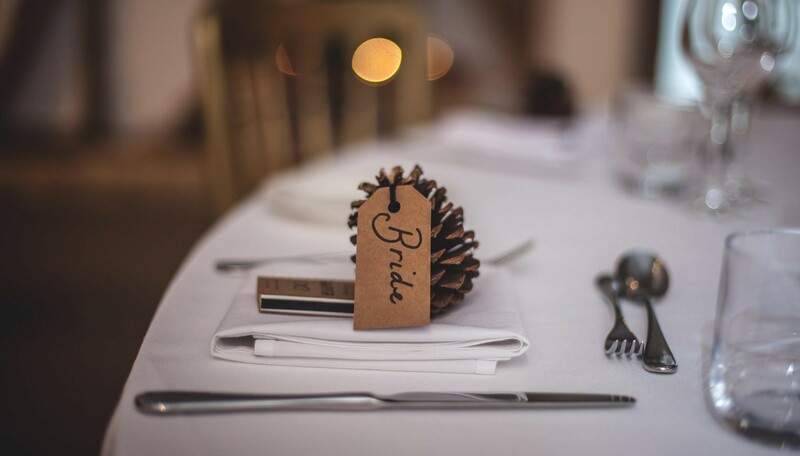 These small touches are simply unforgettable and have a simple and rustic feel to them without compromising your nature themed wedding day. After a day of laughter, singing and dancing, the moment most of your guests will have waited for will finally arrive – the food. By dressing the table with natural elements your guests will have a good idea of what to expect from your locally-sourced grub. There are plenty of ways you can pay homage to nature in your table decorations. Whether that includes the tableware your guests eat with and from, or the decorative centrepiece they gaze upon, there are plenty of simple yet beautiful ways to incorporate nature in your wedding food. Start early and collect flowers, pinecones and logs, and immerse yourself in a bit of DIY decor before the big day. Use cut up logs as dinner placemats, pinecones as name tag displays and flowers for your centrepiece. Now that you’ve set the scene, it’s time for the main event. Find a local supplier – whether it’s meat from the butcher on the farm near your reception or veg from the local market, your food will taste better because you’ve embraced an eco-friendly element in your wedding and reduced the distance it has travelled. One of the most fun parts of planning your special day is picking an outfit which can be perfectly captured in pictures that survive a lifetime of house moves, children, career changes and travels. For the bride, a tiara made of intricately weaved flowers and branches is a simple salute to the surrounding nature, while the warm tones of amber jewellery offer a classy way to incorporate natural themes into your outfits, long after your magical day. For the groom, pay attention to the detail by wearing lapel flowers that not only mean something to you and your partner, but pay their respects to the local environment by choosing shrubs picked and produced in the same area. While you can’t determine the weather on the day, you can influence the amount of enjoyment both you and your guests have and the impact your natural aesthetics have on this. Beautiful decoration and lively, authentic entertainment that echoes your and your partner’s values will only enforce how important your special day is. Whether you choose to add a few signature touches to your food or go all out by making the most of your venue’s natural surroundings, breathing fresh life into your wedding will make it even more memorable and exciting and will speak volumes in your photos. Discover more inspiration at Warble Entertainment and get in touch for advice on planning your wedding entertainment. Published by Warble Entertainment, where entertainment lives. Author bio: Anna Emmett is the owner of Henryka Jewellery, specialising in hand-crafted, unique silver, amber and gemstone jewellery that’s inspired by the natural world.